Accenture Interactive will boost their content practice by adding 3D visualization, animation and visual effect capabilities with an agreement with Mackevision. Mackevision is the award-winning visual team for "Game of Thrones". Accenture entered into an agreement with Mackevision to add state-of-the-art visualization capabilities to Accenture Interactive's digital service portfolio. This will strengthen its capability to produce compelling, next-generation customer experiences and industrial, extended reality applications. Details of the deal have not been disclosed. Mackevision's services has been used for online product configurators, digital and print catalogs, virtual showrooms, AR and VR experiences and more. They also broadcast video and feature films. Using the latest techniques in CGI, AR and VR as well as visual effects, Mackevision can generate accurate digital representation of complex physical products. This will have the potential to change the product design landscape and fuel the next generation of consumer experiences. This ability is key to Accenture's vision of delivering a bigger and wider set of services around smart, connected products. They also look produce platforms and business models to a wide range of industries such as automotive, industrial equipment, consumer goods and retail. Mackevision has been in the business since 1994. They now have a team of more than 500 employees. Their HQ is in Stuttgart, Germany. They also have offices in Munich, Hamburg, USA, the UK, China, South Korea and Japan. This is truly a one-of-a-kind opportunity for us. Mackevision has a deep roster of highly-relevant creative and technical talent in emergent capabilities, and operates with mature offerings on a global scale. It’s rare to find this combination in the market. We are highly impressed by the quality of the work, innovation, leadership, culture and, of course, talent on the Mackevision team, and we are excited for what our combined capabilities can mean for clients. Mackevision’s capabilities will add a whole new dimension of content innovation to our portfolio of services. The ‘digital twin’ concept has massive implications not only from a scaled media production and marketing standpoint, but also for our broader vision of helping clients render the most compelling experiences possible. Mackevision has already achieved a notable success in the automotive industry wuth clients including Audi, BMW, Chrysler, Hyundai, Jaguar and Mercedes-Benz among others. The automotive industry is one of the first industry with early "digital twin" adoption. Mackevision is delighted to become part of the Accenture family. With our more than 20 years’ experience in 3D visualization, our visionary technology and our efficient Single-Source Publishing (SSP) approach, we create relevant, inspiring product and brand experiences with lasting impact. We have moved from being a content provider to providing relevant end-to-end solutions for our clients, and we’re looking forward to collaborating on creating meaningful client experiences on a global scale under Accenture Interactive. Accenture is an early leader in AR and VR services market. They already delivered consumer and enterprise experiences for their clients such as BMW and Jeep. They also launched the Accenture Extended Reality (XR) practice. 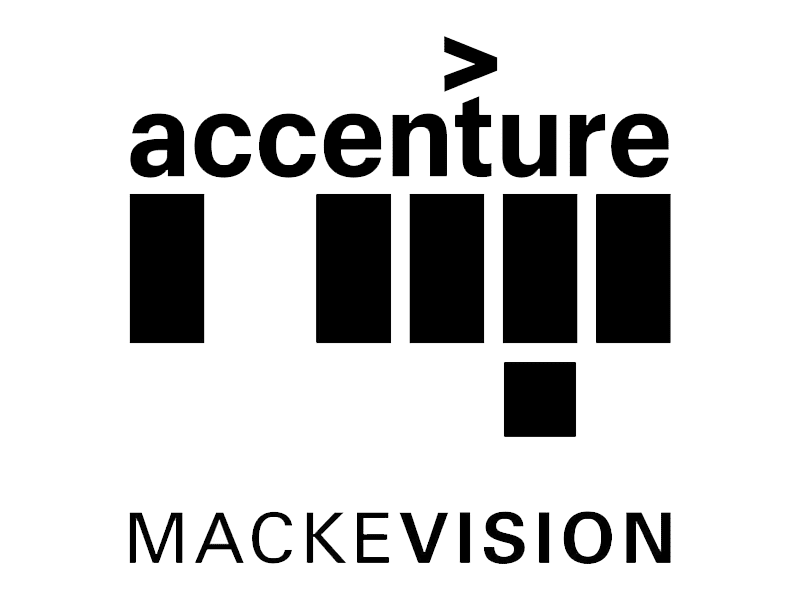 Mackevision will be the key to accelerate the development of XR solutions for Accenture's clients.